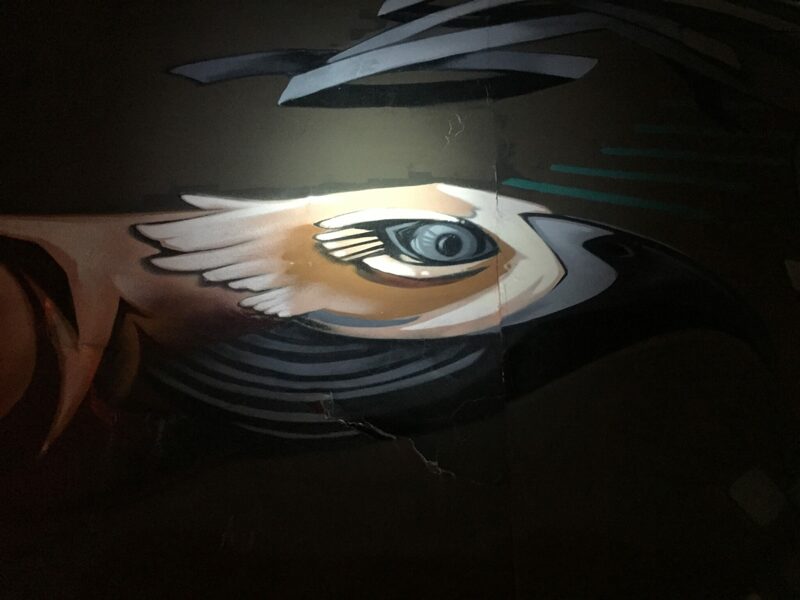 Intense bird mural is intense. I’d love to get a photo of this mural in the daylight. Corner of Blandena and Aberta.